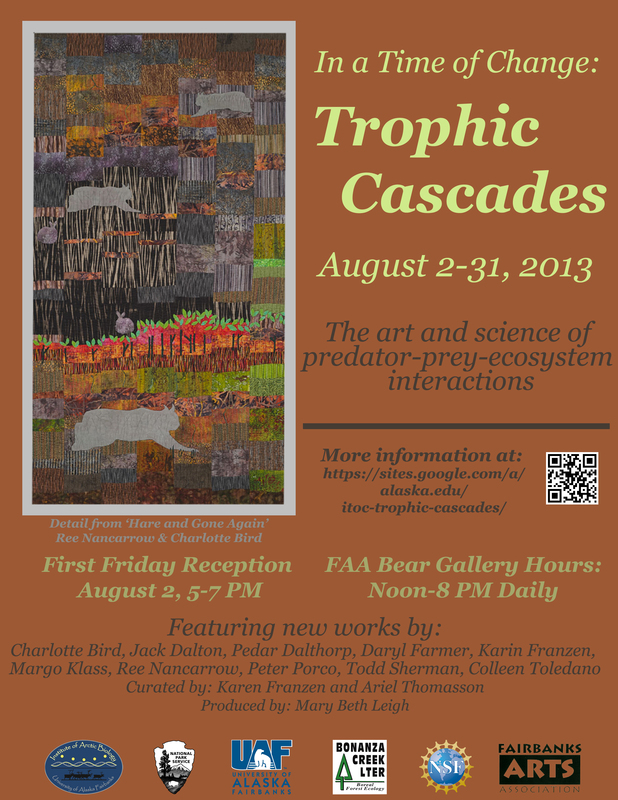 In a Time of Change: Trophic Cascades examines the art and science of predator-prey-ecosystem interactions in Denali National Park and Preserve. Please join us to welcome this exciting exhibit to the Bear Gallery. You are invited to discuss the work and unique program with the artists in person during the reception, or come by to enjoy the artwork any time during the month of August. First Friday Reception: Friday, August 2nd, 5-7 PM in the Bear Gallery, Alaska Centennial Center for the Arts, Pioneer Park 2300 Airport Way, Fairbanks, AK.